Annie Briard is a Canadian artist challenging visual perception through moving image focused work. She has exhibited nationally in several solo exhibitions as well as in fairs, festivals, and events around the world. For 2016, she is looking forward to participating in a residency in Spain. Her work is represented by Joyce Yahouda Gallery in Montreal. 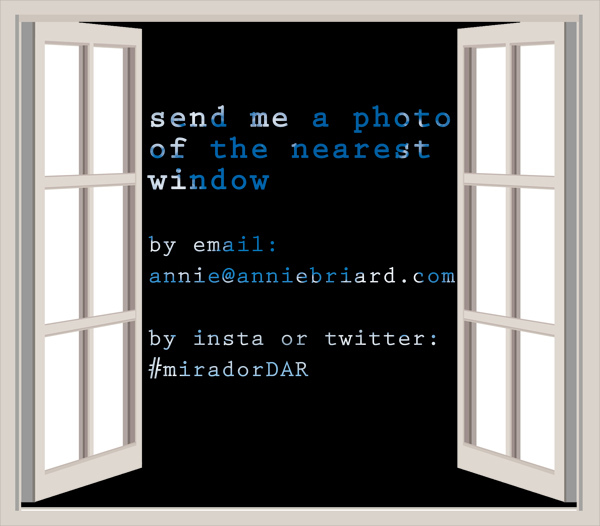 For the Space/Place DAR residency, Canadian artist Annie Briard will be using the idea of a virtual portal to offer a window onto the work she will pursue at a Spanish residency. She will be investigating watchtowers as psychological and physical portals onto other realities, which will become recursive voids through her work on the DAR web platform. The public will be invited to rifle through digital research fragments and to participate in virtual discussions and experiences. I've landed in Cadiz (CAAA-dith) and, after one day of jet lagged haze ambulating along the winding streets, am embarking upon a dual residency - one in a physical place, the other in virtual space. I'm interested in playing with how the physical and virtual, the simulated and the 'real' will collapse together during this time. Specifically, I'll be looking at watchtowers and how they have been and still can be used to communicate both actuality and fiction. Having recently opened an exhibition titled "Staring at the Sun", it seemed fitting that I would begin these explorations with light. If you'd like to participate in the research, email me: annie at annie briard dot com. The distance between me and you is both endless and imaginary. To understand this world and our place within it, we rely on our senses. Primarily that of sight. Vision becomes the ruler by which we measure color, distance, difference. There is an ancient vision theory that makes an erroneous but beautiful claim about how we make sense of our surroundings. Like miniature suns, the theory goes, we see because our eyes illuminate the world for us by jetting forth imperceptible beams of light1. In the not so very distant past this theory was dispelled and replaced with another poetic one, proclaiming the eye to contain a small crystal, carefully shaping the light so that it may bring us illumination. Much is still left to our imagination when determining whether what we see is actually there. Like emitters, our eyes seem to create parts of what we perceive; one need only look for the blind spots in the centre of their sightline or the colourful afterimages orchestrated by the brain. 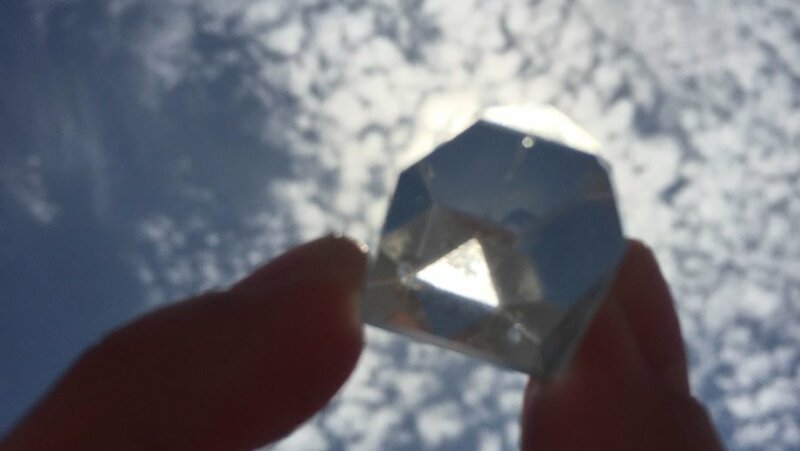 Much like crystals indeed, our eyes mediate light and what we see. What might happen in the distance between me and you, then, becomes infinite. Cadiz, vantage point on the world beyond since ancient times, has also been called the Coast of Light2. Here, skimming the ocean, light is both arriving and departing. The curious hundred or so watchtowers standing from across the city each contain their own unique perspective. What knowledge of the self and the other is received and transmitted at every moment? How has this exchange shaped history and our understanding of the world today? 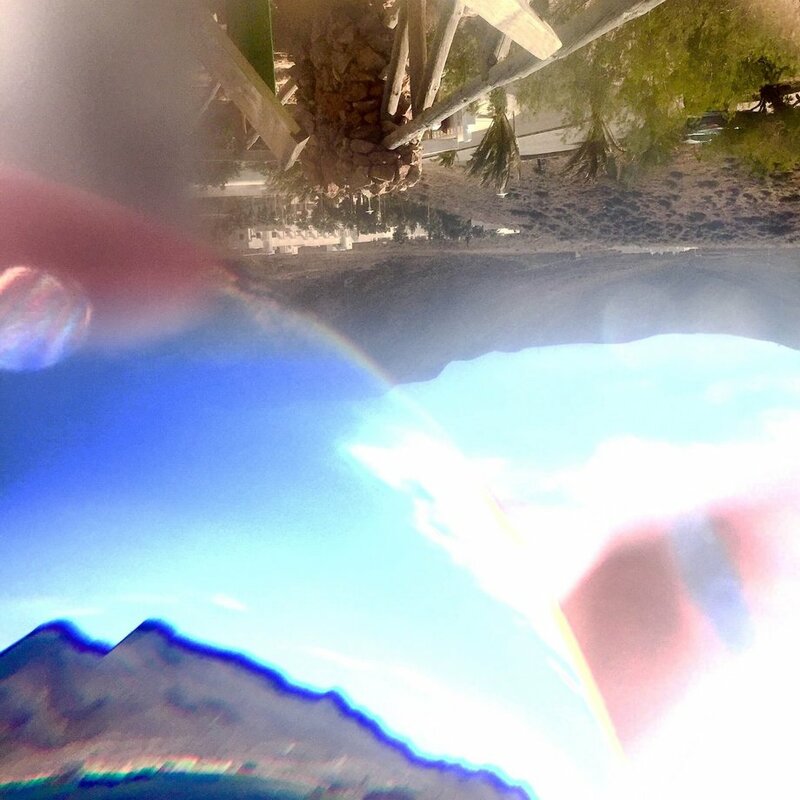 The work I have undertaken during my time at Linea de Costa and Digital Artist Residency departs from these thoughts on the phenomenology of sight and existentialism. In my resulting solo exhibition Meridianos Cristalinos at ECCO museo in Cadiz, studio experiments with prisms and historical research into local Spanish poetry and watchtowers yielded a series of prints where photography and sight return to the very medium that makes them possible – light; and a small video installation confronts a metaphorical viewer to the other and to itself while disassembling their representational likeness through telescope lenses. In ‘The Light of Dawn’, fragments of a poem by Rafael Alberti are borrowed and re-contextualized using light and morse code to speak to the invisible when looking at each other and the world around us. 1-The theory of “extramission” is believed to have been frst postulated by Plato in 4th C B.C. and its core ideas – that the eye could act upon its surroundings by casting light upon its feld of view – held credence until the late 1400s. Recent psychology research undertaken upon youth and young adults in the U.S. has shown that a majority of people believe that the eye does transmit rays, be they light or energy, that can be felt by others. See Charles G. Gross’ text “The Fire that Comes from the Eye” pub. in The Neuroscientist, 1999. Many thanks to the British Columbia Arts Council and the Canada Council for the Arts for their generous support in this research and production project. DAR: Talk us through some of the processes you have explored throughout the residency. AB: In my practice, the majority of my recent works use handmade or digital distortions to explore vision. Images are often partly simulated even if the referent is still visible, such as in my series Perceptual Moments. As I progress further into deconstructing the act of vision, and the elements that constitute its phenomenological process, for my residency I was interested in affecting light itself through physical processes and exploring how we perceive the resulting images. My general focus tends towards how we can communicate our individual perceptual experiences, so here too I asked this question, but also looked at how light has been used historically in sharing knowledge. I used various prisms found from old optical apparatuses such as telescopes and binoculars and went out on shoots in the old part of Cadiz. I prioritized locations that hold historical significance for vision and communications. It’s a city with an ancient, fascinating past in terms of communicating cross-culturally through sight. Cadiz has over one hundred watchtowers which were used to see who was coming to its ports, and to communicate war and political strategy through optical telegraphy within its borders as well as internationally. I shot images through prisms from the port and from various watchtowers (torremiradors). The resulting images and videos, a number of which were previewed on my DAR residency blog, emphasize the viewing act and its elements – light, referent, failure and wonder. Scenes are thus turned upside down and flipped vertically; hues and tones are separated and reduced back to the primary colors of the visible spectrum; light is deconstructed and seen without the mediation of our brain. I was also interested in the communication mise en abime one vista may have onto another, and used video and prisms to look at opposing spaces at the same time. A third process I explored was using pure light to communicate poetic images through codes that would have been used in early forms of telegraph. This resulted in the video installation The Light of Dawn which drew passages from a celebrated Cadiz poet and transformed them into morse code. The verses illustrate a prisoner in a tower believing he has no need for freedom outside his cell walls, for its windows and his sense of sight provide all knowledge of the surrounding world he could possibly need. Eventually he realizes his eyes are telling nothing but inescapable lies. Looking at the work now I’m surprised to notice that this shares themes with an older narrative animation work I made about a tower. 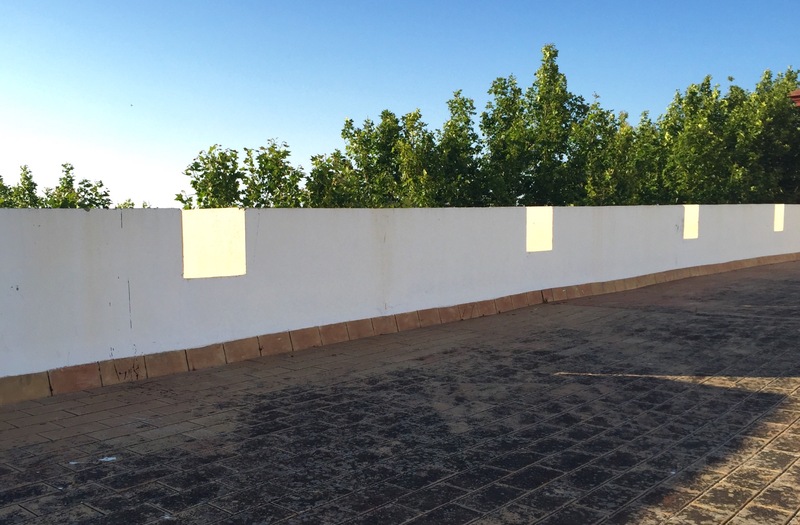 DAR: You have spent the majority of the residency in Cadiz, Spain. How do you think a change of physical location has manifested itself in your work? AB:A change of location can transform a number of parameters in one’s process, be it the influence of the culture and people nearby, the vistas a visual artist has access to, the different schedule (Spain’s siesta times, for example), etc. In my case, these all factored in to some degree, but the largest impact was the city’s history as I was focusing on its relationship to sight and communication. DAR: A lot of your work has focused on the manipulation of light. Is this important for your practice overall? AB:The work I have produced in the recent past have used light to explore vision, be it through video or photography, but I am now realizing to what extent I can use light itself to produce previously invisible images, or affective embodied experiences for my viewer. 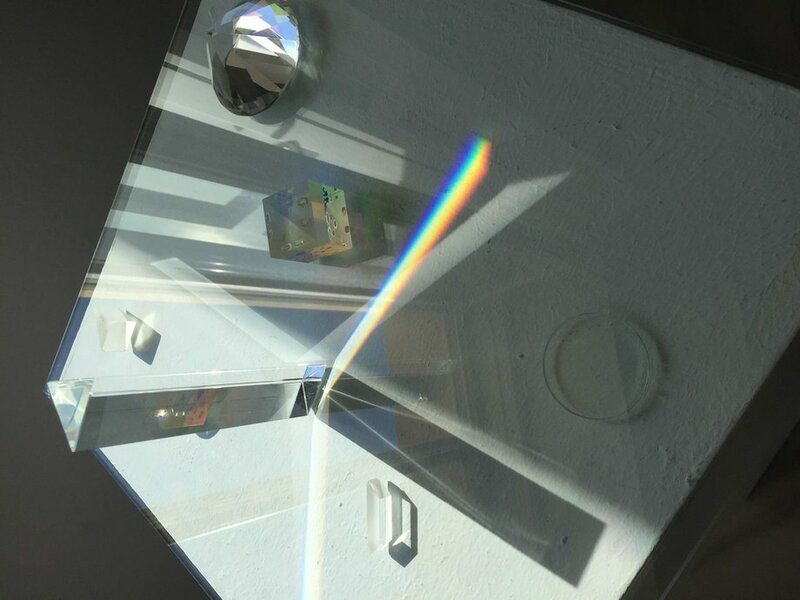 In recent installations such as Afterimages, Staring at the Sun or The Fabric of your Reflection I looked at light interactively and as simulation, but in this residency, I investigated it more materialistically and aesthetically, which opened up even more possibilities. DAR: How do you think some of the more experimental processes will develop further into your practice? AB: The opportunity to look at light from the vantage point of code and communication was intriguing. Attempting to analyze more objectively what lies within a beam of light and laying its components bare, as opposed to purposely shaping them into something I find compositionally or conceptually strong, was freeing in a way. It allowed for a more direct delivery about light, sight and communication instead of a more carefully orchestrated experience. I think this type of light and view distillation – as opposed to my usual act of construction -- is an approach that will continue to grow in my future projects.